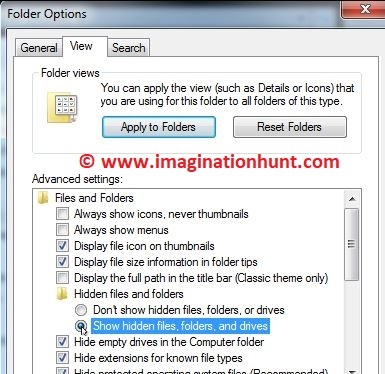 Imagination Hunt: How to view computer hidden files in Windows 10, 8.1, 8, 7 and XP? How to view computer hidden files in Windows 10, 8.1, 8, 7 and XP? In Windows, to view hidden files are quite easy. In this article, we will see how to view hidden files and folders in Windows 10, 8.1, 8, 7, and XP. Note: Hidden files and folder appear lighter in color than normal files. 1) Open My Computer or Press Window key and E.
2) In the Menu Bar click ‘View’ tab located in top left corner of the screen. 3) Check the Hidden items field. 4) And you are done. The hidden files automatically become visible to you in a lighter color. 2) In the Tool Bar click ‘Organize’ button located in top left corner of the screen. Select folder and search options. 3) A Folder Options dialog box open. Click the ‘View’ tab. 4) Select show hidden files, folders, and drives. Click ‘Ok’ button to save the settings. 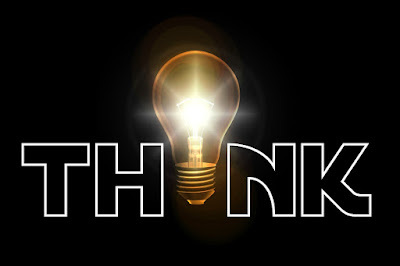 5) And you are done. The hidden files automatically become visible to you in a lighter color. 2) In the Menu Bar click ‘Tools’ tab located in the top left corner of the screen and then Folder options. 4) Under Advanced settings. Select show hidden files, folders, and drives. Click ‘Ok’ button to save the settings.